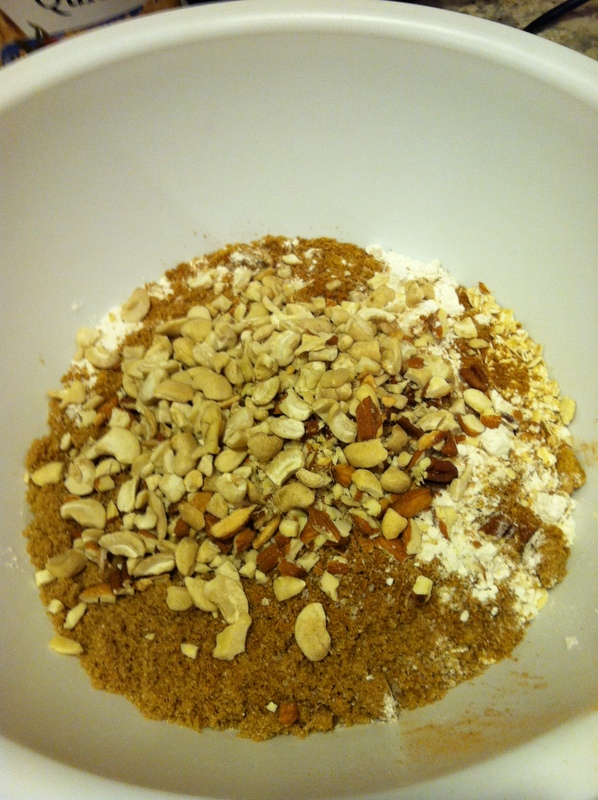 I found this recipe on Girls Gone Child, which is an amazing blog. It is, in reality, a mommy blog, but it’s super well written with gorgeous photos and she just seems like such a cool person. So that is how I justify the fact that my favorite blog is a mommy blog. Anyway… her mom often writes “Eat Well” posts that feature delicious and nutritious foods, often vegetarian, which is another reason why I love the blog. 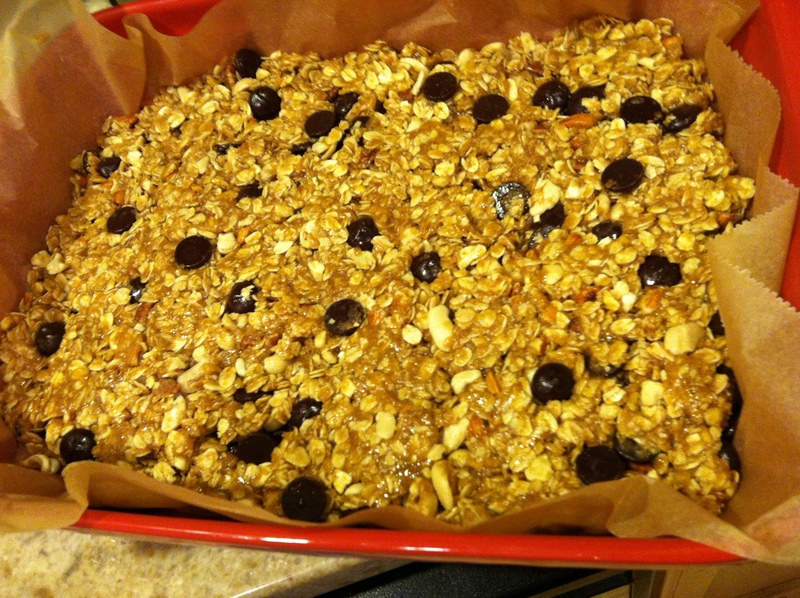 So anyway, below is the recipe for homemade granola bars, care of Girls Gone Child, and tweaked a little by me. 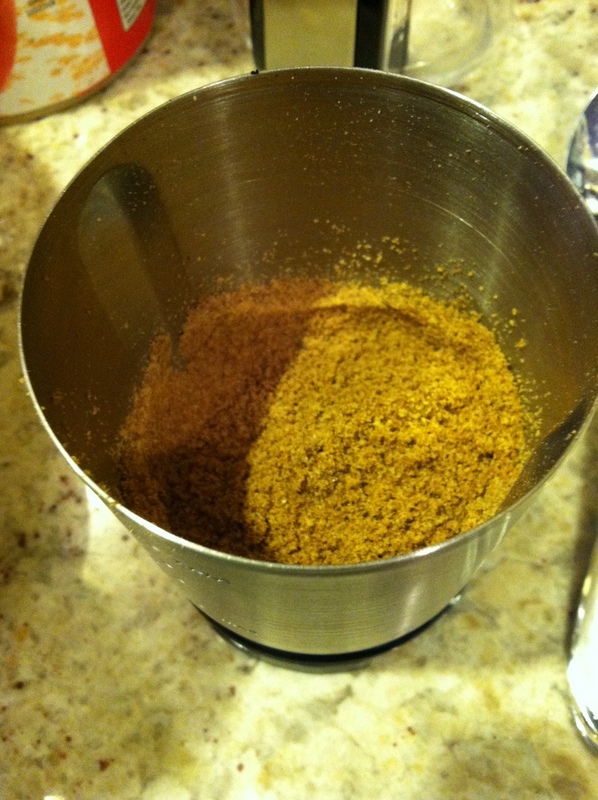 Preheat oven to 350 degrees and start thinking about how you’re going to ground the flaxseed. At least, that is how this recipe started for me. I had bought whole flaxseeds at Trader Joe’s and the internet told me that I could use a coffee grinder to grind them, but I was leery. After figuring out how to use the coffee grinder, it was smooth sailing. Super easy to grind and the ground seeds smell so nutty and delicious. I actually took a bit of the ground flaxseed in a little container to work and have been putting it on my oatmeal in the morning. After the grinding is complete, you are free to figure out the rest of the recipe. In one large bowl, stir together the oats, flour, brown sugar, raisins/cranberries/dried fruit, flaxseed, salt, cinnamon, and nuts. Also add in the dark chocolate chips, if you’d like. In a separate bowl combine the oil, agave nectar, egg, and vanilla. 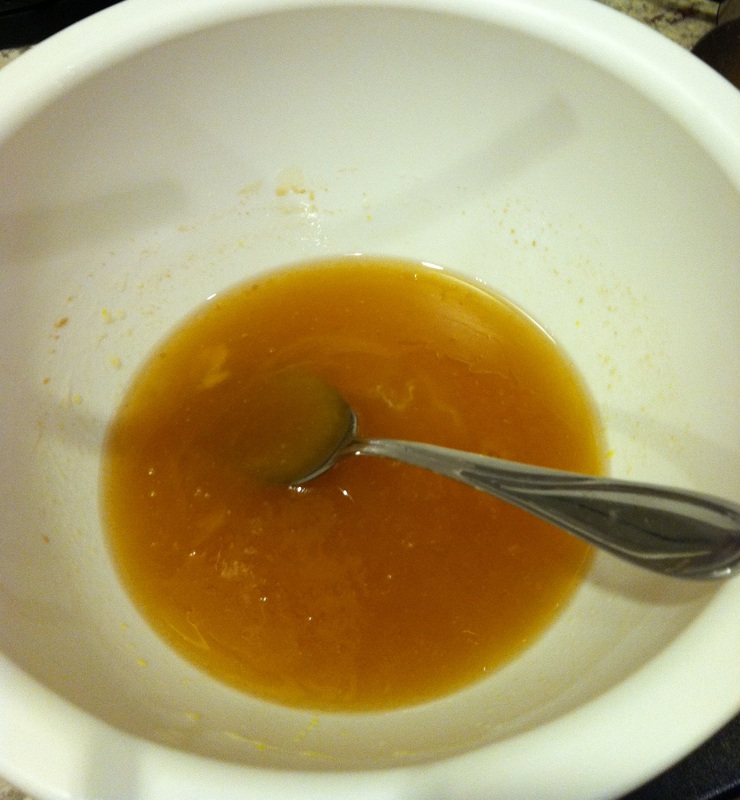 Pour the liquid mixture into the dry mixture and stir until evenly moistened. Spray a piece of parchment paper with canola oil spray and place it on the bottom of a 9×13 baking pan. Press the granola mixture into the parchment paper lined pan and use damp fingers to make sure its even and makes it into all the corners. Bake 25-30 minutes or until the edges are golden brown. It’s easiest to cut these into bars once they are completely cooled, but good luck waiting that long!